CHICAGO (WLS) -- Several apartment burglaries have Kenwood residents on Chicago's South Side on alert. 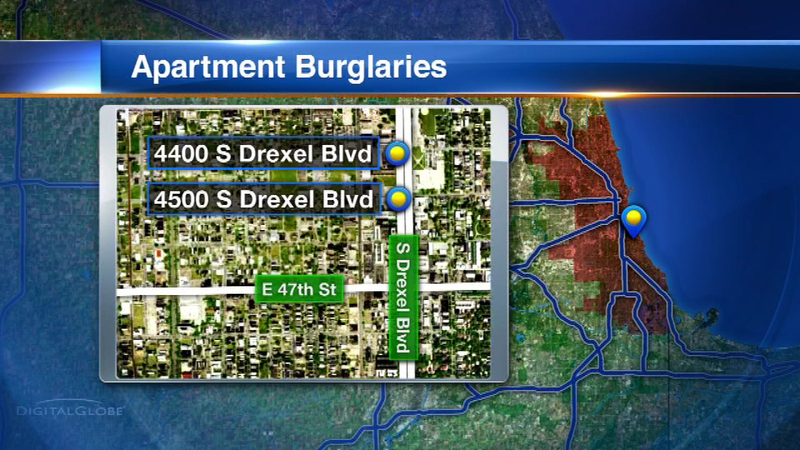 Police report at least three burglaries, the most recent happening Friday, July 24, in the 4400-block of South Drexel. Another robbery happened on July 23 in the same apartment building. Another burglary was reported a block away earlier in the week. Police have not said what the thieves stole.